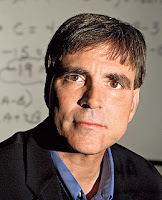 Carnegie Mellon professor Randy Pausch gave his "last speech" earlier this month where he talks about achieving your childhood dreams and learning unforeseen lessons. I read over 1,000 articles a year in the Wall Street Journal, the one on his speech is the best I ever read. It is very moving and motivating and if you haven't watched it or heard about it yet you should right now.